Publisher Digerati and developer iNK Stories tasked developer Stage Clear Studios with porting 1979 Revolution: Black Friday over from the PC in order to reach a larger audience. 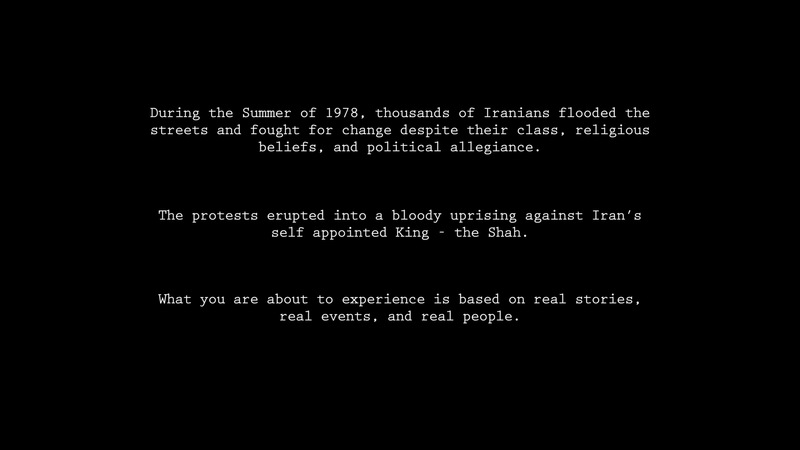 The question is, is it worth your hard earned cash to visit 1979’s Iran on your console. The game follows the formula and art style much like the Telltale universe of games, with a graphic comic style presentation and a point and click style of investigation and environmental interactions. There’s also a few quick-time scenarios that can earn you an in-game trophy if you successfully pass all of them without fail. 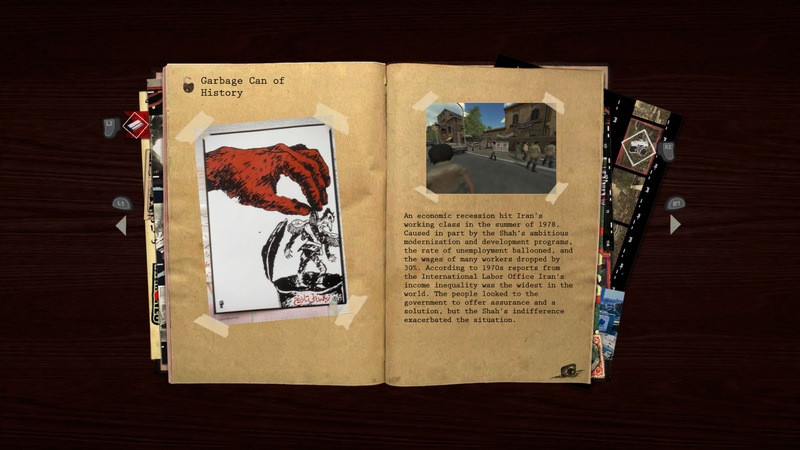 The story is told through gameplay and dialogue but you can also dive deeper into history through images you’ll need to take in order to replicate historical images. Once a photo is snapped, you can read the history behind that particular photo. Interactions with non-playable characters also add to the story and can introduce historical figures and different ideologies at play. The revolutionaries weren’t always on the same page as to what their end results should be, and the dialogue bears that out. The game does a pretty good job of pointing out each of the ideologies, and even mentions how trading one dictatorship for another isn’t necessarily progress, and might even be a step backwards. The game isn’t very long, as we finished our first play-through in roughly 3 hours, but your decisions within the game warrants at least one more play through. You can choose violence over passive resistance and you can choose to cooperative with the authorities or resist. Your choices dictate how certain scenarios play out, but the story ends the same regardless. You can’t alter history, but you can alter how certain individuals treat you and your family in-game. 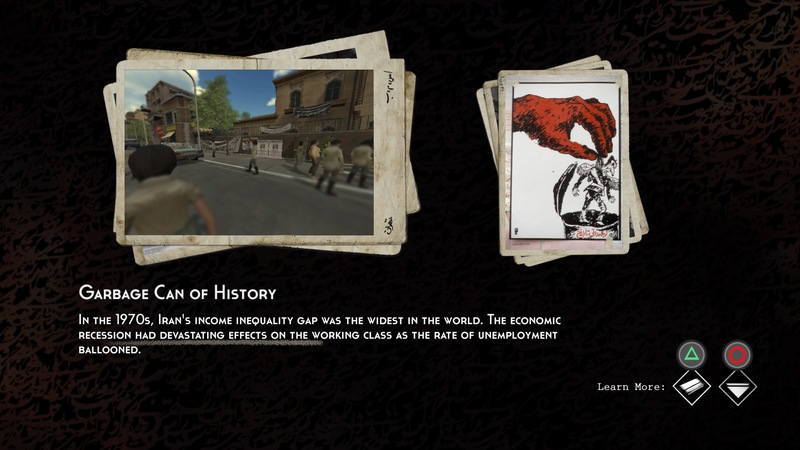 1979 Revolution: Black Friday is an interesting game, with a style of story telling that is reminiscent of a Tell tale game. 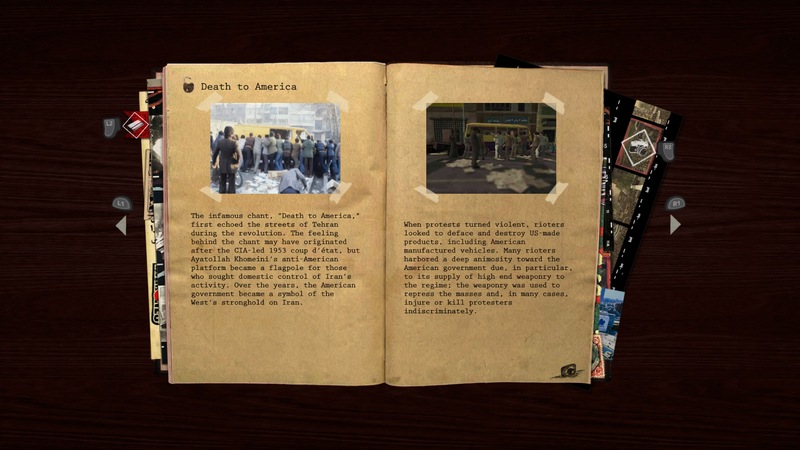 The game was banned in Iran due to it being called “American propaganda”, but in actuality, it tells a brief, but honest story about not only the C.I.A.’s involvement there and how hard nosed and deadly the Shah was, but also about the internal strife within the revolution itself. The game was probably banned more for pointing out that the Iranians traded a secular dictator for an Islamic dictator, who can be just as hard nosed and deadly as the Shaw, if not more so. 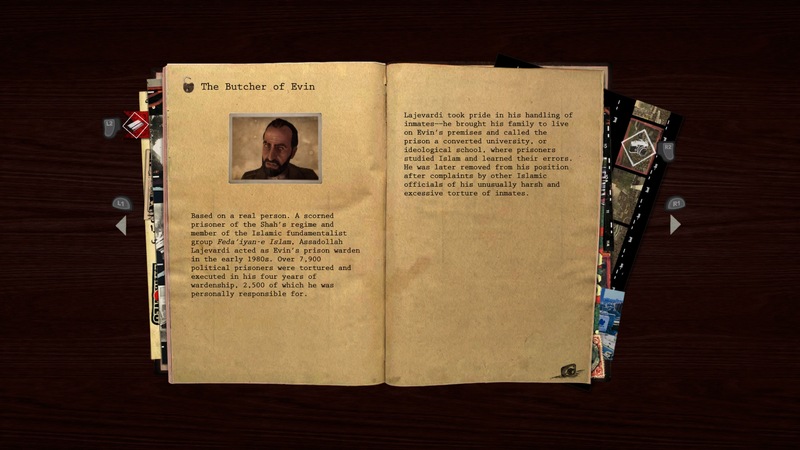 the game also has collectibles in the form of speeches given by several different historical figures, some of which are currently banned in Iran. In this time of global strife, it’s always a good idea to remember where we came from and the errors of our past in order to not repeat them in the future. It is an honest game like this that will live on in history as a grim reminder of what damage governments can do, either in the name of religion or simply in order to remain in power, and sometimes both. 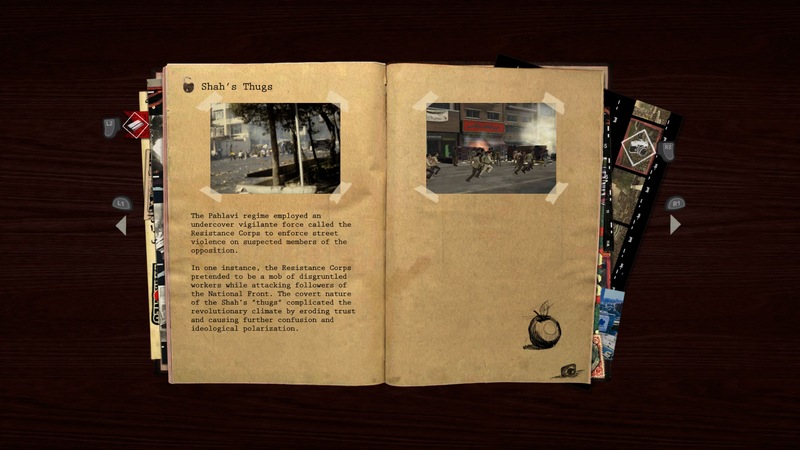 1979 Revolution: Black Friday is a welcome addition to anyone’s library that enjoys this style of gameplay, with a history lesson that needed to be told. 1979 Revolution: Black Friday review codes provided by publisher and reviewed on a PS4 Pro. For more information on scoring, please read: What our review scores really mean.